Day two for the Digital Dozen Decades week and I'm going to keep it short tonight because my internet is dropping out and I have no idea why. Australia has such crappy internet speeds, specially for anyone that isn't on the NBN. We have vdsl2, and our speed is ok for downloads at about 20mbps, but for some reason I'm only getting uploads at 0.4mbps at the moment. I'm sure it's nothing on our end, but if I were to call iinet they basically never follow up anything on their end because they always blame it on stuff our end. Grrrrrr. Today is inspired by the 1950s and I did a poodle skirt design. Yay for free hand two days in a row! How fun! 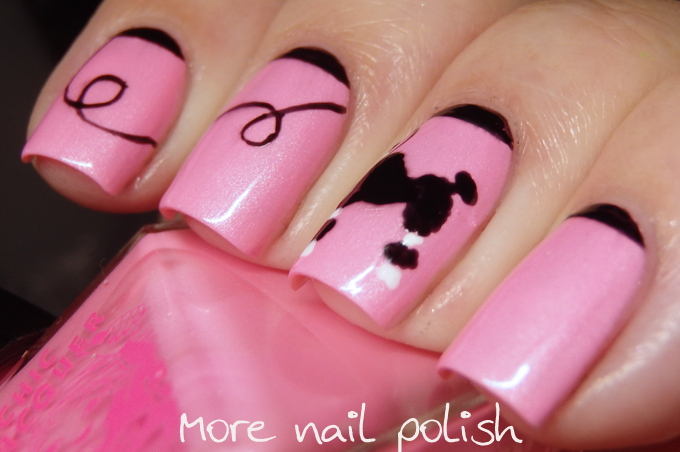 That pink is perfect, and I love the design you painted. Oh my! 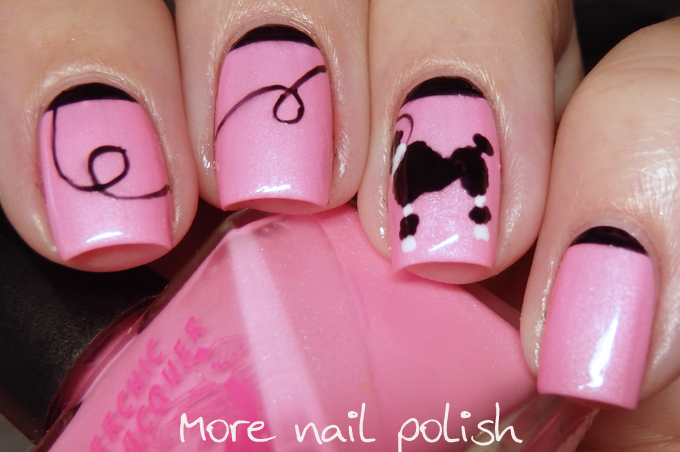 The poodle is perfect! Love these. 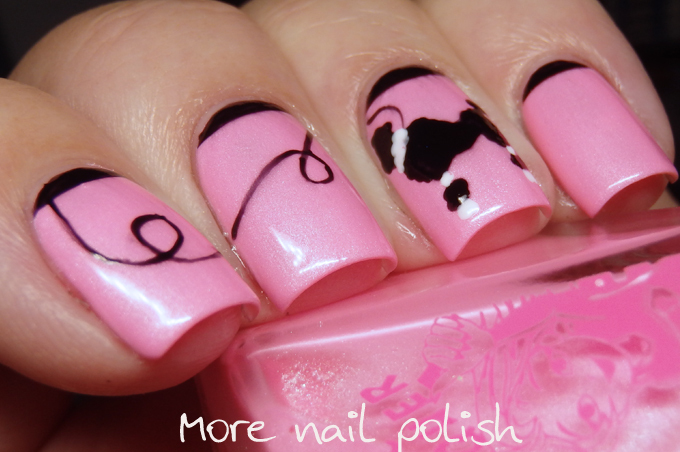 That pink is gorgeous and your free hand is fantastic! Ok, that pink is lovely! As is the art! So reminds me of the poodle skirts! That poodle is so cute!! I love this! I so see poodle skirts in these!